Gorgeous 174 gram Imilac pallasite full slice! 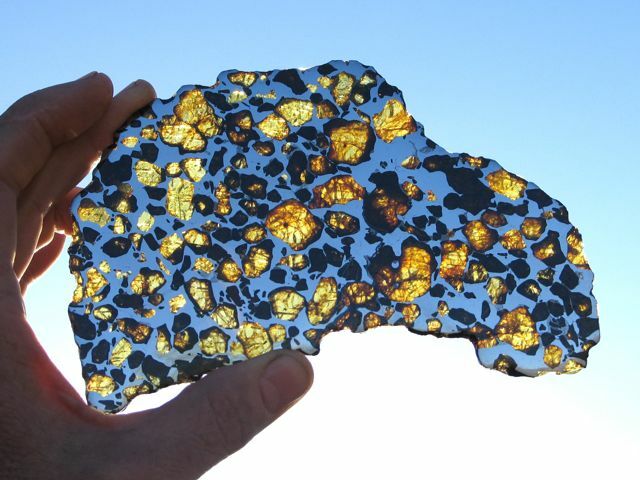 Here is an opportunity to add an exceptionally beautiful Imilac Pallasite to your collection. Once side is polished the other side is etched. This lovely specimen has been expertly prepared and would make a fantastic addition to Museum or high end collection!